What are the most common mistakes made calculating poker odds? You know that poker is a game of skill, we don’t have to tell you that. The world’s top poker pros are essentially math whizzes that can calculate odds and ratios and probability and all sorts of other things we can barely understand in microseconds. But even the most seasoned pros make mistakes calculating odds. We’re not going to go into detail here. 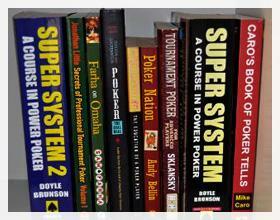 If you’re a champion poker player, you’re probably not reading about odds calculations. So instead, we’re covering the most common mistakes new poker players make when calculating Poker odds. There are two big ones you should know about, so put down those chips and keep reading. Ever hear someone at the poker tables say they have 1 in 4 odds of hitting a Jack? And then for the next hand the same player says they’ve got a 4 to 1 chance of winning? If you think these two statements are the same, you need to read this. 1 in 4 odds and 4 to 1 odds are actually not the same. When you have 1 in 4 odds, it means that for every 4 times something happens, you’ll get the result you want one out f those 4 times. 4 to 1 odds means that you will have the outcome you’re after one time, and the outcome you don’t want will occur four times. So, essentially, with 1 in 4 odds you get three unwanted outcomes and one wanted one. And with 4 to 1 odds you get four unwanted outcomes and one wanted one. It’s common for poker players to want to figure out the percentage odd when trying to decide if making a call is a good call. For some, percentage odds are easier to grasp than ratio odds. But a lot of newbie bettors forget to include their own bet in the calculation. This is a huge mistake that can give you the wrong information. For example. Let’s say your opponent throws $40 into a pot that already as $80. What’s the total of the bet? If you said $120, you’re wrong. The total would be $160 because you need to add your $40 call. So your $40 call out of the $160 pot would be 25%. If you leave out your $40 call, you’re left with 33% instead, which could lead you to make the absolutely wrong decision. At Palace of Chance, we offer video poker machines to help you calculate those odds. Many of them are open for free, so give them a try. You’ve got nothing to lose—even if your calculations are way off.